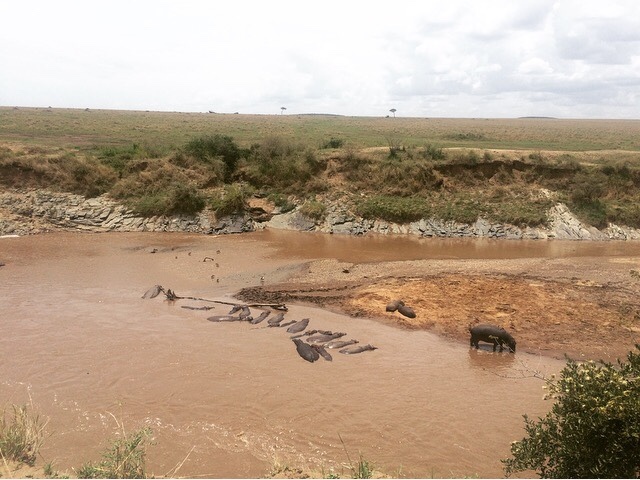 Kenya is one of, if not the, most popular destination for going on safari. If you’d sat me down six months ago and told me that I’d land here last week, apprehensively wondering if this really was the best decision, if I’d given up on working in Australia for a year just a little bit too soon, I’d have told you to stop drinking in the morning, you silly old thing. 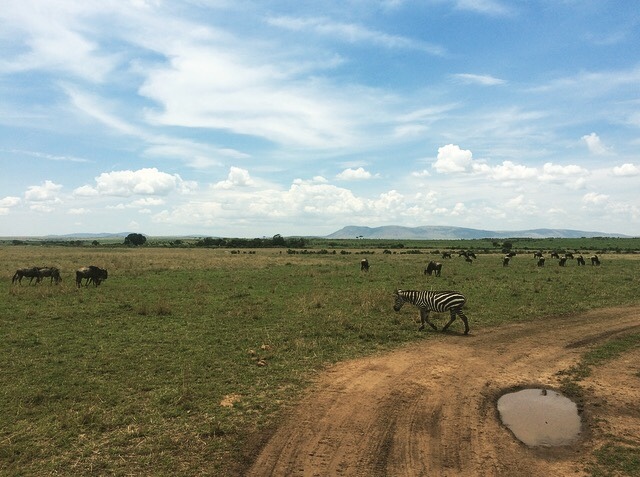 Of course I wouldn't be landing in Nairobi, for a day later to venture on safari, because duh, I had The Plan. The Plan that Rosie and I carefully constructed. The Plan that actually, went to sh*t after a couple of months because sometimes, you just have to take a little (or mighty huge) leap into the unknown and…plan a three month trip through East Africa? Something like that. 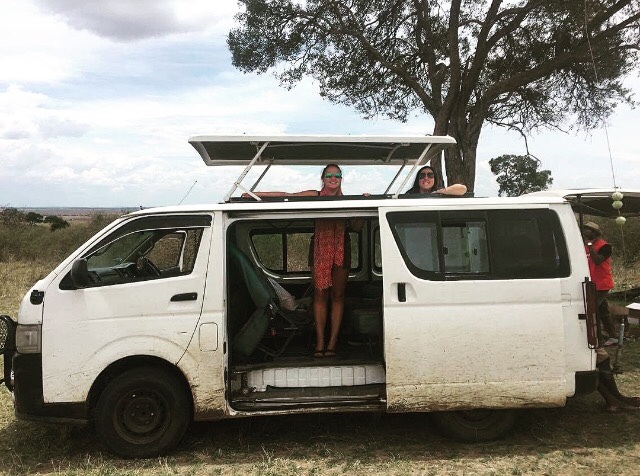 At the beginning of our trip in May, we were asked countless times if, whilst in South Africa for two months, we were going on safari. Each question was met with a resounding no because of course we couldn't afford to go on safari. Safaris cost thousands of pounds and are for well off people who have their lives totally together and settled, with a fabulous job in a fabulous house and possibly two kids and a pet labrador. So whilst it was always on my 'life bucket list', the thought of a safari on this trip was just completely out of the question, it was simply unimaginable. One day soon, one day in the future, the experience would arise, but not now, not at this stage in my life. And yet, that one day, came around pretty quickly to say the least, because with a little research, and a little digging, Rosie found a pretty great deal. So great in fact, that at first, we weren't fully convinced. Surely something is a little amiss when it’s hundreds of pounds cheaper than any other prices we’d seen before. 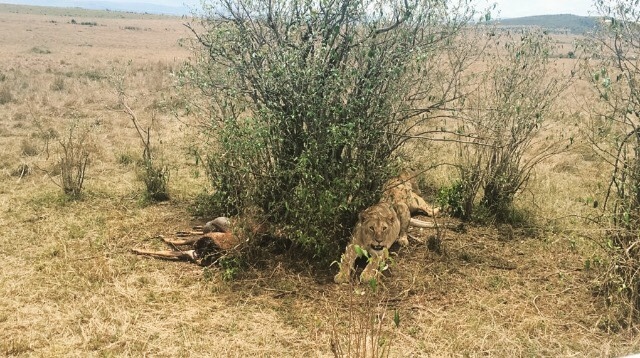 Are we actually camping in the Masai Mara with a pack of hyenas to keep us company? Are there hidden costs that would be sprung upon us when it’s too late to back out? They say food is included but is it actually included or do they mean we’ll be given a soggy banana a day and a bottle of water for the fun of it? In the end, we took a chance because hell, we’ve gotten used to that recently and as it turns out, it was preeeetty much the best decision we could’ve made. 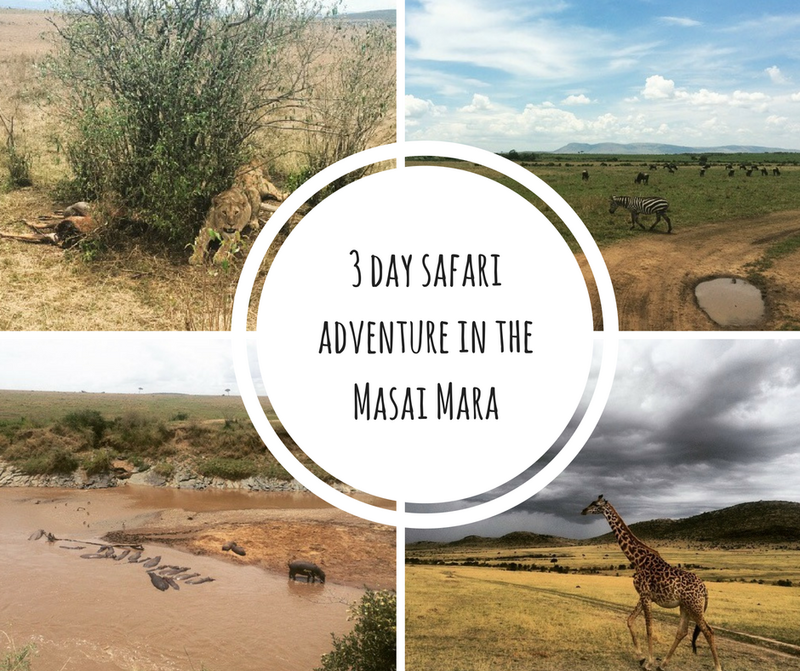 The safari was a 3 day adventure in the Masai Mara National Park, which is named one of the top wildlife destinations in the entirety of Africa. With a diverse number of resident animals, including the big 5 - lion, leopard, buffalo, rhino and elephant - the Mara is the ultimate place to travel on safari. After being picked up from our hostel, Milimani Backpackers, at around 8am in the morning, we began the six hour drive to the national park. 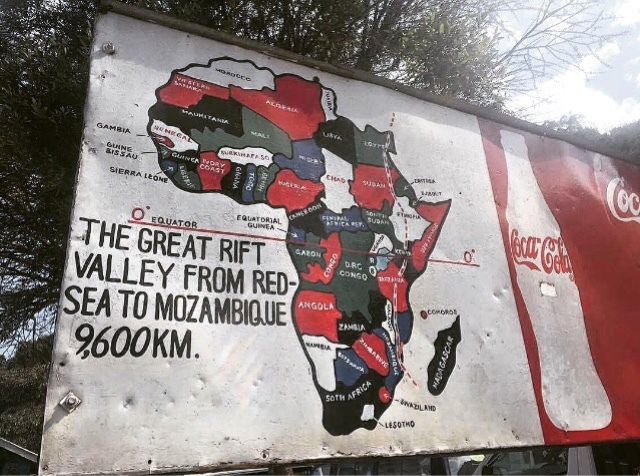 With so much to see along the way, it could never be a boring journey, particularly as we stopped off at the Great Rift Valley, a continuous geographic trench that stretches from Lebanon in the North to Mozambique in the South, and is 6,000km in length. We arrived at our camp at around 3:30pm and after being greeted with hot drinks, went out immediately on a late afternoon game drive. Cloud has consumed the Masai Mara, and a rain storm was looming over us therefore neither of us were expecting to see very much. 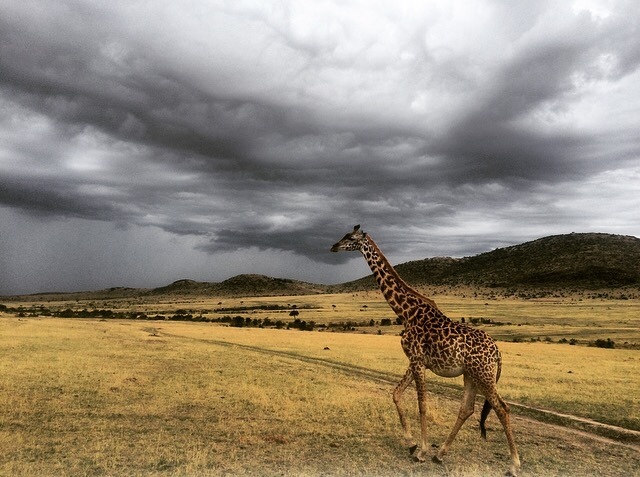 Fortunately, we were mistaken as within a mere 15 minutes, we’d been up close and personal with gazelles, zebras and wildebeests, had seen a herd of elephants looking for shelter and followed two lions who were trying to work out whether to find their tea or go under cover from the rain. After the rain finally fell, we zoomed back to camp where we were met with the heartiest evening meal you could wish for. The camp we stayed at was called Lenchada Camp, and is an ideal place if you’re looking for budget accommodation but don't want to actually sleep on the floor with a sleeping bag and canvas tent, this is the place. It was more down the line of, glamping if you will, with single beds adorned with sheets, embroidered blankets and the all important mosquito net, an ensuite bathroom all tucked underneath a sturdy tent. 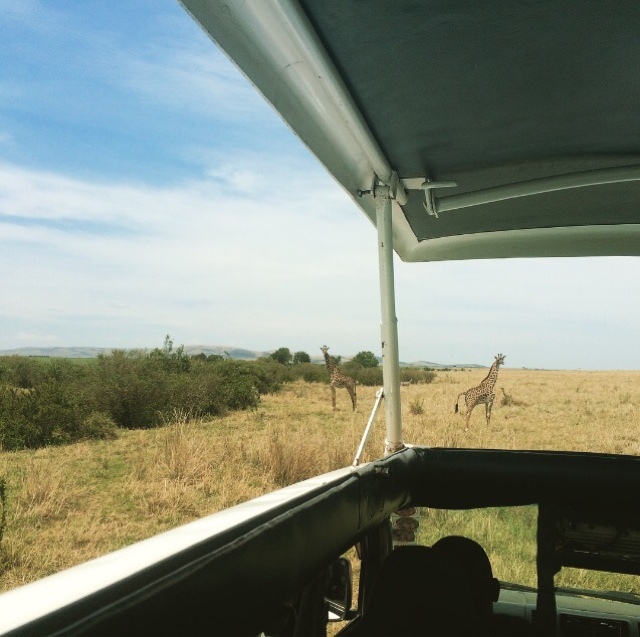 I’ve never been camping properly in my life (so of course I choose the Masai Mara to do it first) but I really couldn't have wished for a better first experience. 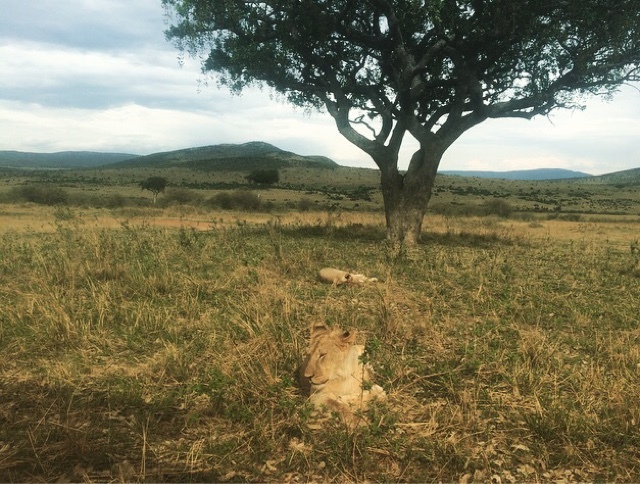 Our full day game drive began at 8am. After a fab cooked breakfast, we were packed up with lunch and water and after a mere few minutes, were in the national park and ready for the day. It’s safe to say, it was one of the best experiences of not just this trip, but of my life and will be something I’ll never forget. 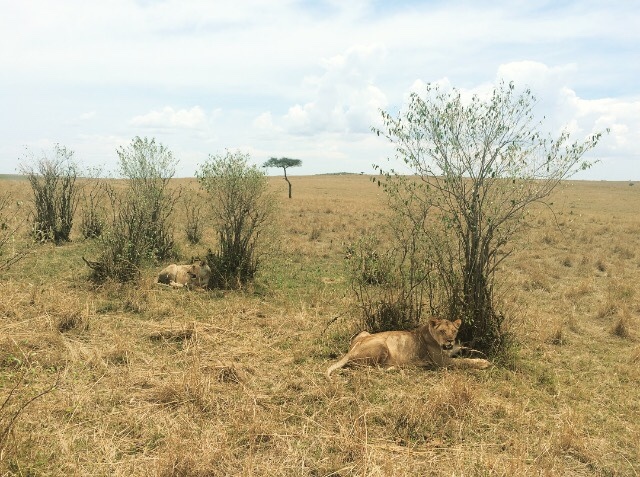 From watching a pack of lions chase two buffaloes for lunch, to being mere feet from cheetahs, elephants, giraffes, zebras and a whole lotta lions, it was just…incredible. In addition to this, from July to November, the ‘wildebeest migration’ takes place, which is named as one of natures greatest spectacles. Travelling up north from the Serengeti in a seasonal annual cycle, the number of wildebeest arriving in the area is unbelievable, and literally everywhere you turn, are wildebeests, for as long as the eye could possible see. Your experience on safari is hugely dependent on how good your personal game driver is and whilst his actual driving at times, made me hold onto the back of my seat, close my eyes and say a final goodbye to my family, we saw some incredible sights, and often, got extremely up close and personal to some of the most amazing animals in the world. Overall, he was really great. Whilst it was kind of sad to say goodbye to the Mara after those few precious days, I really couldn't have wished for a better time. To have gone on safari within this trip, is an incredible privilege and one that I won’t be forgetting for a long, long time. - We paid USD$360 for three days safari in the Masai Mara National Park which included game park entrance fees, all travel, all food and water (soft drinks and alcohol not included) and accommodation and we booked it through our hostel, Milimani Backpackers. - We stayed at Linchada Camp - for more information/photos, click here.